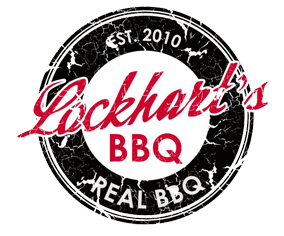 Lockhart’s BBQ was started out of a desire to bring the warmth of southern BBQ, as enjoyed by the owners Drew and Rick, to the Detroit metropolitan area. With vast experience in the “comfort food” restaurant niche via his successful brew pub restaurants, Drew began to organize short trips to BBQ destinations in the south, mostly due to our inability to locate any authentic southern style BBQ restaurants in the greater Detroit area. These trips occurred in Memphis, Kansas City, Austin, and other small town Texas locations. We discussed common themes in our favorite locations, going beyond the quality of the food and variety of menu. What we found was that there was something great about BBQ from all over the country. Pulled pork in Memphis, ribs in KC, brisket from Texas, etc. When we returned home and began cooking for ourselves and our friends, we would often get asked what style of BBQ we were preparing. Inevitably it became “Detroit Style” which to us was a bit of all the good stuff from all the great BBQ places. For most people it is simply firing up the grill until red hot, and cooking some meat on it. This is very good for an end of the day summertime meal, but we believe our style, similar to Texas style BBQ, goes beyond average BBQ. Our approach is to instill flavor and tenderness that will never be achieved using typical grilling methods. Smoking meat over a low wood-based fire using select and prepared cuts of beef and pork achieves far superior flavor and tenderness. After starting with superior quality beef, pork or chicken, seasoning or “rubbing” the meat prior to the BBQ is a key component to perfecting flavor. Through our experiences, we have discovered the key mixes to creating dry rub recipes for the different cuts of meat. Blending with the cut of meat, the pre-seasoning process and waiting period, accentuates the meat through the cooking process. Once the meat is seasoned, the next key to accomplishing our flavor profiles is temperature and indirect heat. With traditional BBQ, the rule is low and slow. The low temperature allows the meat to cook to a well done state without losing its moisture or becoming tough. Patience pays off in the flavor profiles, because of the low temperatures involved. We have researched and located the best slow cooker smoker manufacturer around. Temperature stabilization, internal flow, and slow burning functionality all bode well for giving us the best smoked products we can possibly have. Now that the temperature is correct, the appropriate wood to burn has to be located and used. Hardwood is the preference and we have determined that locally grown ash and hickory will be our primary smoking material for creating the perfect balance of flavoring and cooking smoke. There are many theories on sauce with BBQ. We will not employ the usage of sauce or mops while cooking. We view the sauce as a compliment to great BBQ, so the sauce will be served along side the BBQ meat, as a side element, if desired. There will always be a selection of 4 or more sauces available. Great side dishes are always a memorable added feature to the main BBQ meat entrees. Often, people will discuss the side dishes as the greater feature of the meal, such as deviled eggs, beans, macaroni and cheese, fried okra and other southern favorites. All items add the extra elements of “comfort’ that signify a great BBQ meal or event. Lockhart’s will have a wide array of favorite sides as gathered and located in our many trips of discovery. Eat with your hands. Wash. Repeat.